Wow I got a lot done yesterday. My wife and I also painted are bedroom in between woodworking sesions. She did the lower part of the walls, when she was done I’d go in and paint the top. I’m sore today! But it feels good. So I cut the legs to length by hand. 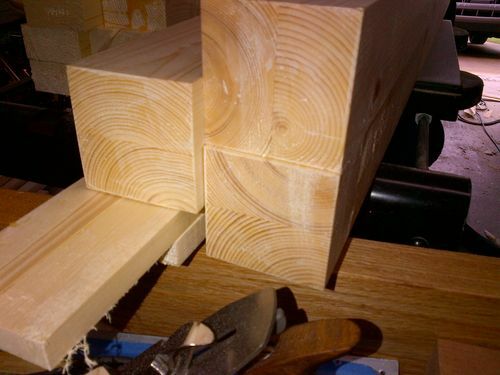 The chop saw wasnt cutting accuratly enough for me so I cut these to length with a knife, a saw and my new bench hook. Then took the #4 to the end grain. Choped the Head and Foot board rails to length. 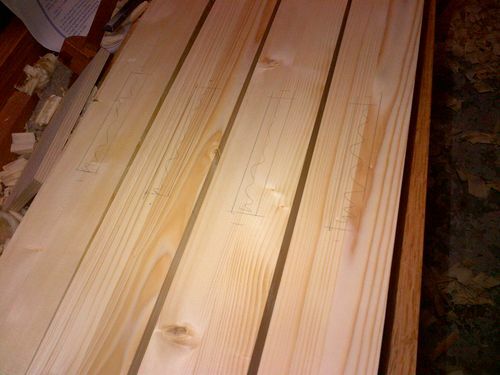 Chopping out 16 mortices of this size is not my idea of fun so used my router. This is my prefered method. Just a router a straight bit and an edge guide. Knocks it out in two pased with a 1/2” bit. I still have to square up the ends with a chisel. So thats where I am for now. 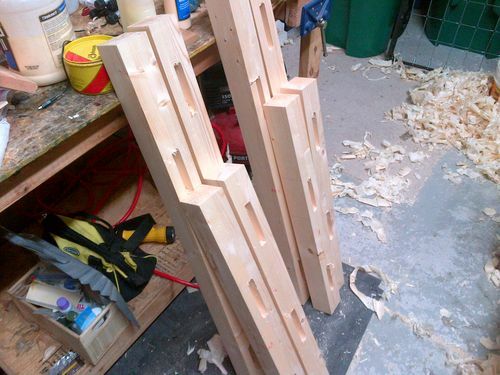 Next to cut some tenons! I’m really suprpised at how fast the progress is going. I’m having so much fun on this project. Almost as much fun as when I build my workbench. Thanks for following along yall! 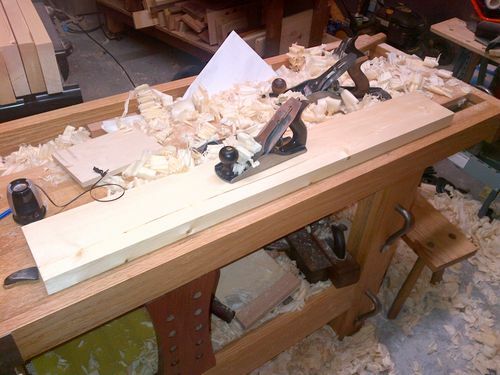 I found it much faster to just take two or three swipes of a medium rasp to the corners of the tenons, rather than chisel the mortises square. 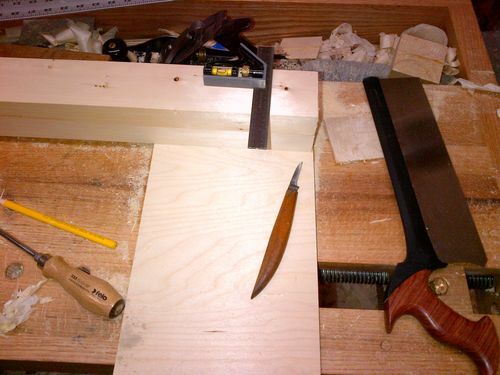 Any reason for square mortises and not round tenons? 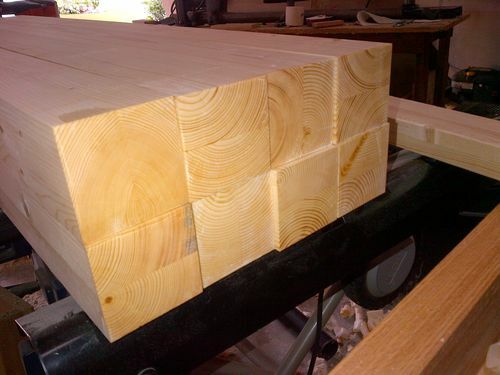 Normally I would do that but with a wider 3/4” mortise cut in two passes the ends are not perfectly round or even so I will need to chisel them anyway. Also I’m eyeballing the ends of the mortises so they need a lot of clean up which you might be able to see in the picture. Dang Mauricio, you are giving us lazy woodworkers a bad name. Quick progress, plus a bedroom paint job on the side. Very nice. Ah – I got ya. I didn’t catch that the ends of the mortises were that rough. Regardless, you did get tons done! Shane, my mother-in-law is in town so we have to take advantage and get as much done as we can while she watches the kids! Chris, I’m feeling it today. lol. I love my Bosch router! I aint afraid to say it. ;-) It’s relatively quiet, and with the edge guide it’s easy to set up and accurate. I hated it until I got a dust collection fitting for it. 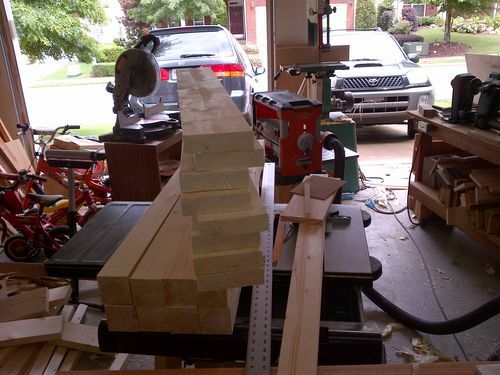 Most of my other power tools are of low quality so I’m better off doing the work by hand. lol. I do my mortices on the old US made Tauco pillar drill, great heavy built machine,1 horse, plunge using spur tip drills then clean up by hand, pretty fast and contollable. One things for sure, those bunks will be better than anything you can buy retail. Wow Mauricio you are kicking a$$ on this! Fun to watch, thanks. Apprentice that sounds like a solid process. You have a picture of that pilar drill? Sounds bad aas. I’ve done the drill press then paring thing but for some reason I have a lot of trouble getting a good fit with that. I just love the nice clean walls the router leaves. Thanks everyone for following and for the comments. Coming right on along. High galoot factor.